With my January style challenge very nearly coming to a close, I want to share a few things that I've learnt from having a capsule wardrobe for a month. Not only have I become more experimental with my style, I've also figured out what works and what doesn't work for me. I'm more aware of the clothing I pick, what I want vs. what I will get the most wear out of. Because trust me, those are two very different things. When I put together my capsule wardrobe and chose the 30 pieces that I wanted to include, I thought about everything from fancy dinner options to basics for errand running and tried to include a variety of pieces. The just in case options because I didn't know what I would be up to for the duration of the month so I felt like a safe bet was to have options. However, if I were to do this again I wouldn't include any formalwear or dressy pieces in a capsule wardrobe at all. I think the key pieces are basics, after all that's what you generally get the most wear out of on a day-to-day basis. Obviously this is hugely dependant on what you do every day (if you work in an office you probably do need a considerable amount of smart clothing) but generally speaking, I would steer clear from anything too fancy or formal and instead have various basics. 2. Choose pieces that you can wear in different ways. One of my favourite things about having this capsule wardrobe throughout winter has been the layering opportunities. 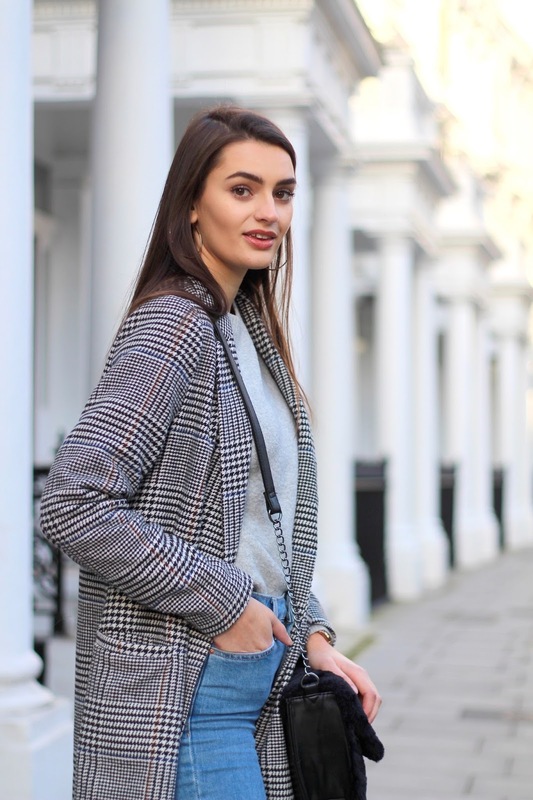 Now I'll admit, I don't usually do too much layering - it's just never been my thing - I'd much rather have a huge chunky knit to keep me warm than layer up various pieces. With that said, layering has been one of my favourite things about this capsule wardrobe. 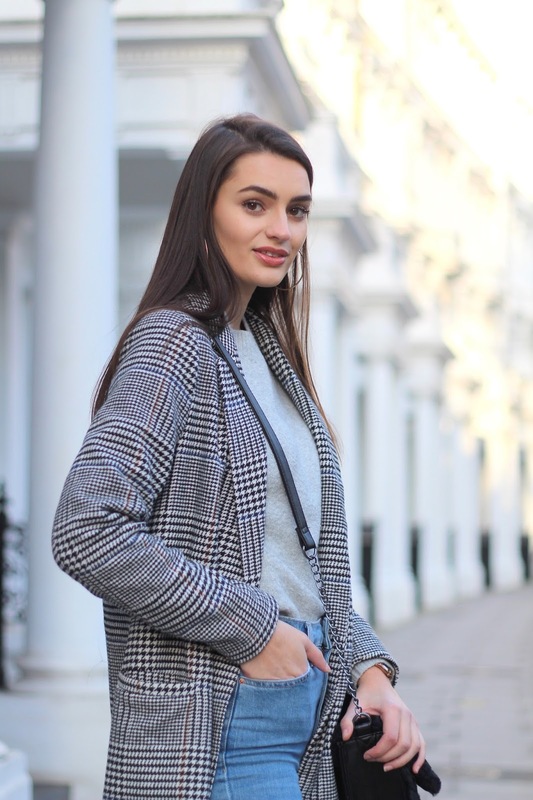 I've been wearing dresses (when it's far too cold to) with a roll neck underneath - blog post here - and I've even layered roll necks under hoodies for an even more snug look. I should probably re-name this point: roll necks will be your best friend. 3. I have too many clothes. The main thing I've realised from having a capsule wardrobe is that basically, I have too many clothes, way too many! It's no secret that I own a lot of clothing but I put this down to my love of fashion and style for sure but also my job. Blogging full time means that I need to be pushing out new content constantly, working with a variety of brands and just sharing a lot of photos daily and one thing I've felt since having my capsule wardrobe is that everything feels like constant repetition. I can only pick and choose from 30 pieces on a daily basis and then when it comes to creating new content, it always feels same-y because again, I've only got 30 pieces to choose from. Which for the average person is completely doable but for me, it's been quite a challenge! Nonetheless, I definitely feel there's a wardrobe cull on the cards (after I fulfil my shopping needs).